There are ordinary secrets and then there are far more nefarious secrets born in combat and brought home by returning soldiers. 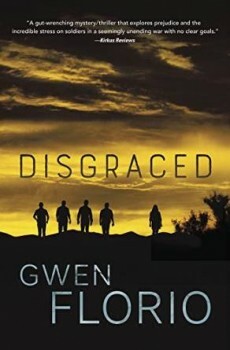 The combat secret in wartime correspondent Gwen Florio’s gripping DISGRACED is like an improvised explosive device lying in wait as a small group of soldiers returns from Afghanistan to their homes in Wyoming. The reader knows an explosion is coming—that the secret will be revealed—and that the dangers lurking around every corner of protagonist Lola Wisk’s path to the truth are equally perilous. Florio propels the reader at rocket speed from the grisly opening scene in Afghanistan to a soldier’s suicide at a welcome home ceremony in Wyoming in the first few pages. The riveting set up is the mysterious killing of an American soldier and Afghan civilian during a combat patrol. Florio narrates through the eyes of Lola, a recently furloughed reporter. Lola is helping a friend by picking up her cousin, a returning soldier named Palomino “Pal” Jones, from the airport in Casper, Wyoming. During the welcome home ceremony, another member of Pal’s unit, Cody Dillon, commits suicide in front of shocked onlookers. Scurrying for cover with her daughter Maggie in tow, Lola gathers Pal and takes her home to rural Wyoming. Lola’s reporter friend, Jan asks her to stay with her cousin given the suicide and some other odd communications she had with Pal prior to redeployment. With a potential story brewing around the suicide, and to extend the favor to her friend, Lola decides to stay in Wyoming. Lola attempts to balance the demands of digging for the story, caring for her daughter, and watching over Pal. 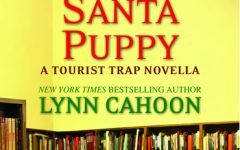 Lola gets sucked into the mystery of what happened to this small group of friends in Afghanistan when she begins to piece together the transformation of each of the soldiers who returned. Pal, who once sported long beautiful hair, now wears it short, as if she is trying to be a different person. She barely eats and when she does it is canned ravioli. She hacks her arms with sharp instruments in ritual defacing. From Delbert St. Clair, Lola learns that Pal, Cody Dillon, Mike St. Clair (Delbert’s grandson), and a few other locals all deployed together. She hears the story of a lone Taliban that killed Mike, a Shoshone Indian from the Wind River Reservation. Too late, the rest of the group managed to kill the Taliban. The mystery revolves around that combat action. Two of the returned veterans are arrested after a fight in a bar, prompting Lola to interview each returning soldier to determine what actually happened to Mike. At the risk of her relationship with Maggie’s father and the safety of her family, Lola presses ahead with her investigation. DISGRACED deftly handles soldier suicide, posttraumatic stress, poor leadership, racial tension and other topical issues. Florio’s skill as a writer and former journalist are evident in her flowing prose and gritty narrative. Having reported for the Denver Post in Afghanistan, Florio writes with a unique authenticity about combat and veterans. For all of her skill as an author and the verisimilitude of her writing, Florio is most adept at creating the mystery that keeps the pages turning and the reader engaged. That dark combat secret, brought home by troubled veterans, all with different reasons for protecting it, reveals itself one puzzle piece at a time. Engaging, riveting, and authentic, DISGRACED is a thrill ride from the very first page. Gwen Florio’s first novel, MONTANA, won the inaugural Pinckley Prize for debut novel, and a High Plains Book Award, and was a finalist for an International Thriller Award, Shamus Award and Silver Falchion Award. Her second in the Lola Wicks series, DAKOTA, was a finalist for a Silver Falchion award. A veteran journalist, Florio’s work was nominated three times for the Pulitzer Prize. 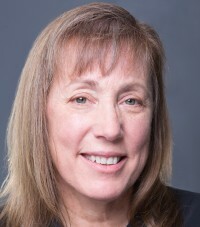 She is a member of International Thriller Writers, Mystery Writers of America, Sisters in Crime, Rocky Mountain Fiction Writers, and Women Writing the West. She live in Missoula, Montana. To learn more about Gwen, please visit her website.